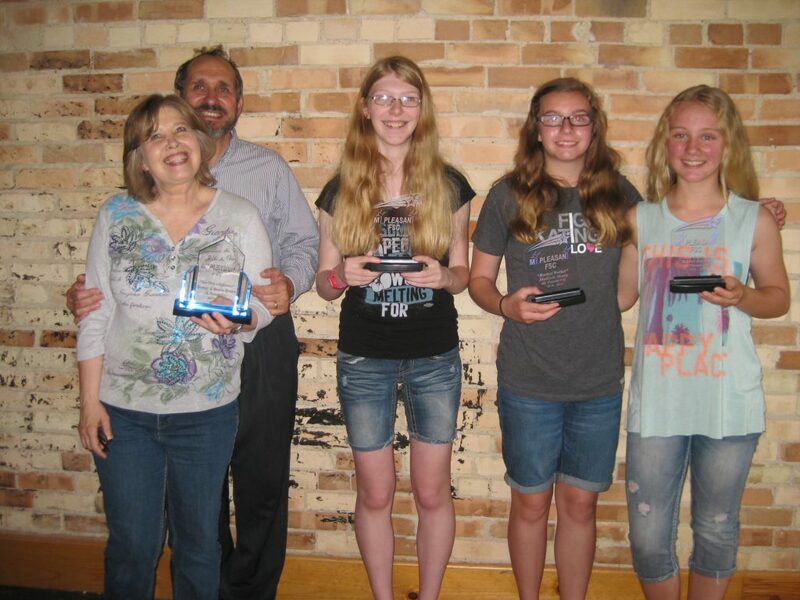 The Mt Pleasant Figure Skating Club hosts an awards banquet at the end of each season to celebrate the accomplishments of the MPFSC skaters over the past year. The skaters who successfully passed a USFS test during that time are awarded their test pins and certificates and a select few are honored with their Varsity Letters or named as the Hardest Worker, Most Improved, Sportsman of the Year, or recognized for the difference they have made to the club and community. Hardest Worker: This award is presented to skaters who consistently work hard and show perserverance in the face of adversity. Most Improved: This award is presented to skaters who not only make improvements in their on ice skills, but their attitudes and work ethic as well. You Made a Difference: This award is presented to the club member who goes above and beyond, giving of their time and talents to not only make a difference in the club, but the skating community as well. Sportsmanship Award: This award was created in 2017 to honor a skater who exemplifes what it means to be a good sport; someone who supports all of their fellow skaters both on and off the ice. Varsity Letters: Varsity Letters are presented to all High School Juniors and Seniors who compete as a part of the Middle of the Mitt High School Figure Skating Team. 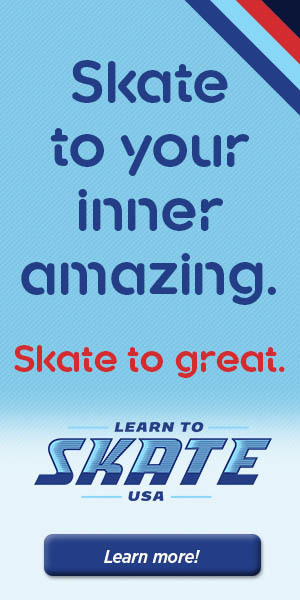 To be awarded the letter as a Freshman or Sophomore, the skater must compete at the Michigan High School Figure Skating Championships as an individual or as part of the team.